Hello people! I am back with another review on the brushes I'm using for my make-up. 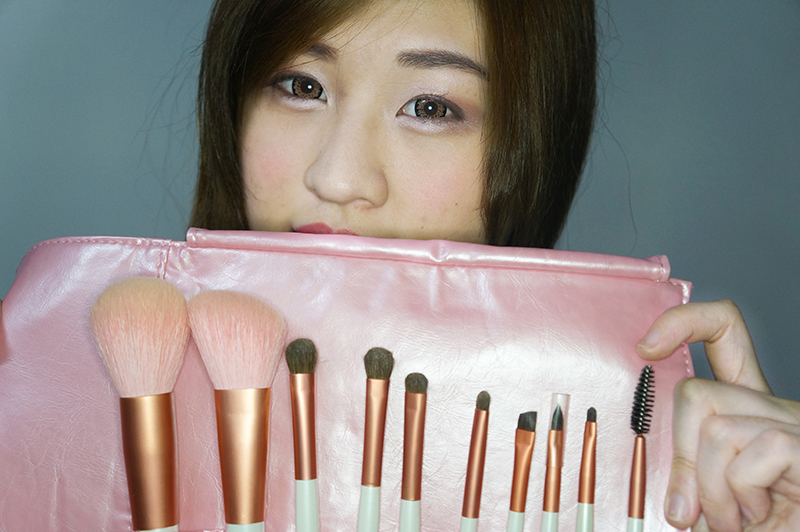 I used to think it is not worth to invest on make-up brushes and I was wrong. 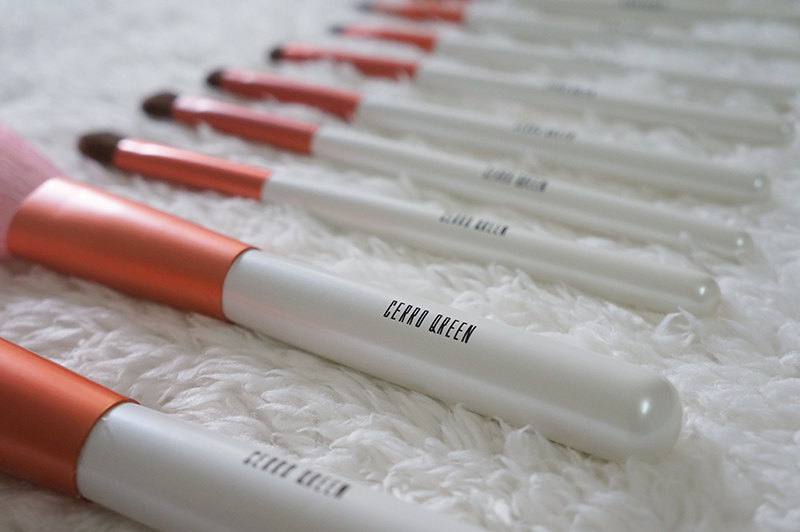 The better quality of the brushes help the make-up stays prettier and they are better towards the skin too. If you want to apply make-up well, you will need proper tools for that. Avoid high-end branded brushes. Yea, they can be good but then, they have mark ups the price so high that you might spend the next whole week eating plain bread. Avoid make-up with applicators. Their texture can be very bad, so invest a little on brushes to treat yourself better. Evaluate the brush quality. Learn the basics of the brush quality and test it on your skin. The finer the hair, the better on you skin. Buy by the set. It is cheaper! Once made decision to get the brushes, get them as a set. Buy from Beauty professional stores. It can be Sephora or other beauty stores you came across with. 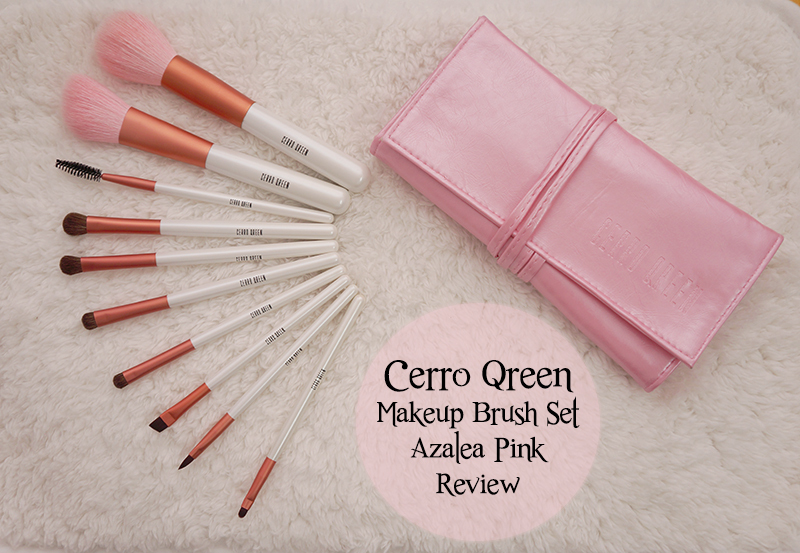 Let's just say you are unsure which brushes to get and would like to get a set with a decent price, you may want to try to hit up with Cerro Qreen Makeup Brush Set. Cerro Qreen is a professional cosmetics tool brand from US. Cerro Qreen's makeup brushes are made of a composition of animal hair with sythetic fibre, giving the brushes a gentle and smooth texture. Cerro Qreen is a popular brand amongst many professional makeup artists, best known for its high quality products and reasonable price. Cerro Qreen is a well-established brand in US with many years of experience in making professional makeup tools. Cerro Qreen Makeup Brush Set has 10 pieces of brushes, mainly focus on the eyes. I chose the Azalea Pink and turn out it is a sweet color, perhaps I still need some time to love the pinkness of the brushes. 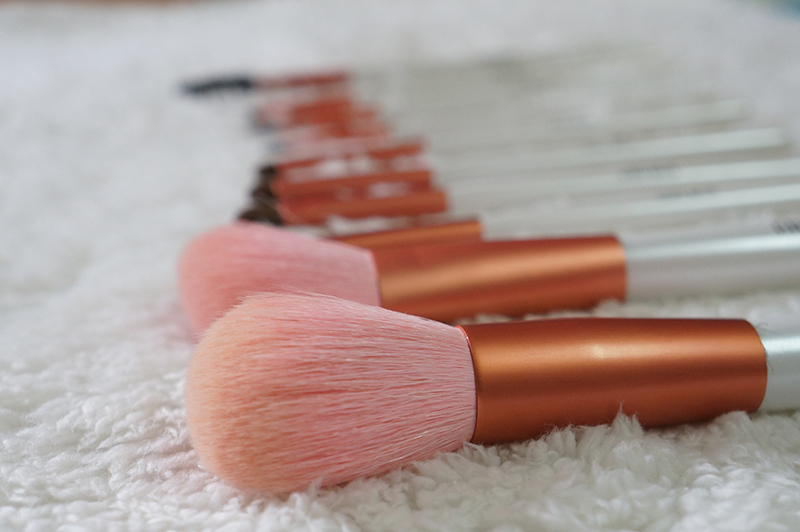 Only the powder and blush brushes have pink bristles while the rest have brown bristles. The handles are in white color and has a silky smooth finish. They are very lightweight and the brand's name is crafted on each of the handle. I like the color combination because it gives out a sweet yet elegant feeling. I love soft and fluffy brush! Though this is not the fluffiest brush I've ever encountered, the bristles are so fine and soft~ I find this is big enough for face powder over the entire face in a couple of swoops. I don't contour my face but this can be used as a bronzing brush too. The bristles are fine enough and I do feel this brush is suitable for sensitive skin too. At least, the skin will not feel painful when I am using a dapping motion on my face. This is commonly known as the contouring brush. It can contour your face feature and at the same time, you can use it as blush brush. 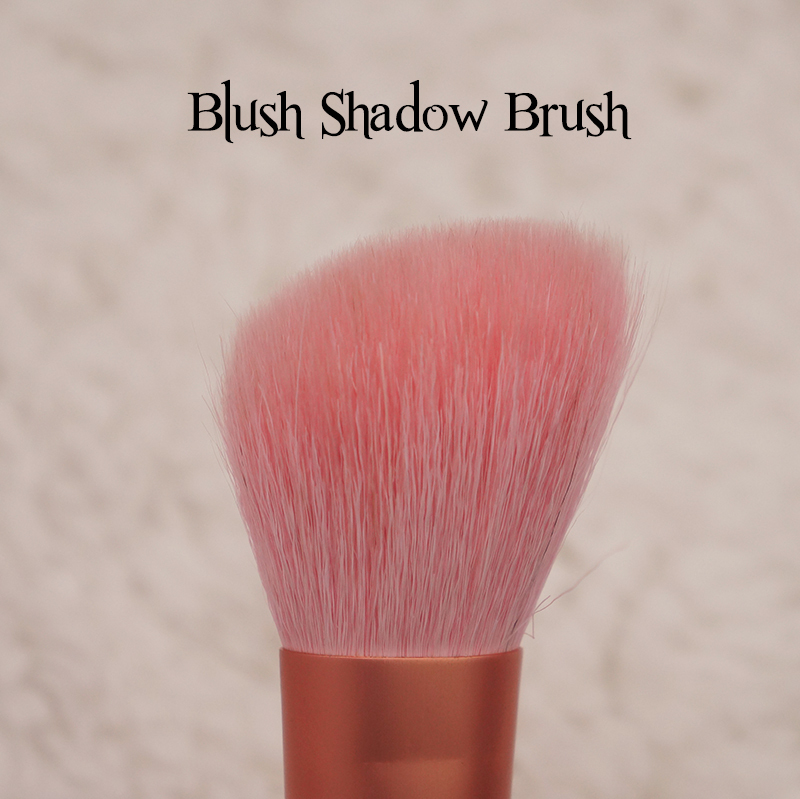 The bristles are crafted at a slight angle for you to get control of your blush application. 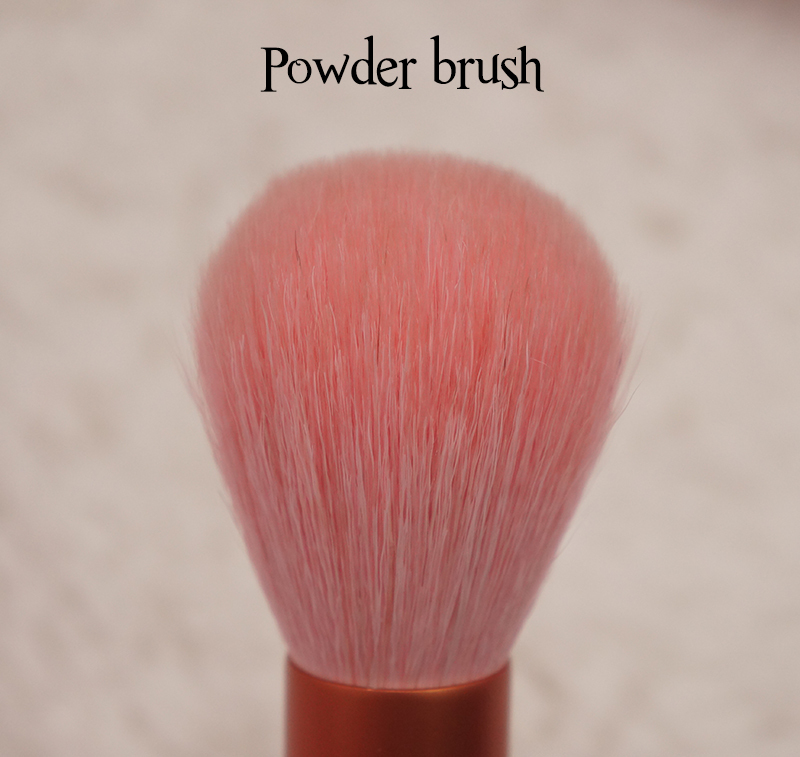 The bristles picks up the powder well and blends it easily on the skin too. You can expect a soft bristles and light weighted brush here. 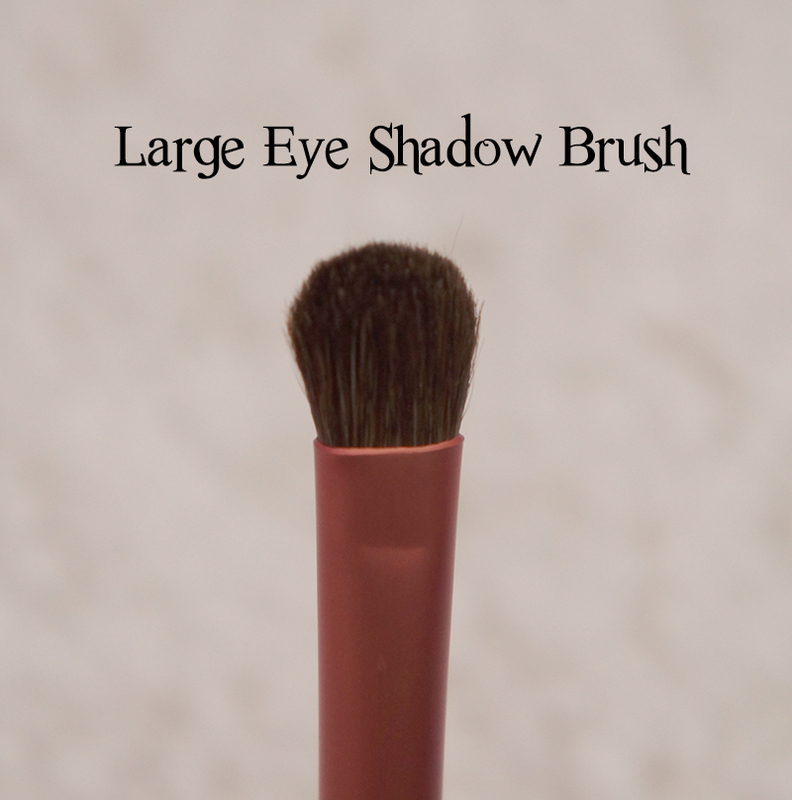 This eye shadow brush is used for applying the light eye shadow as a base to the entire lid. 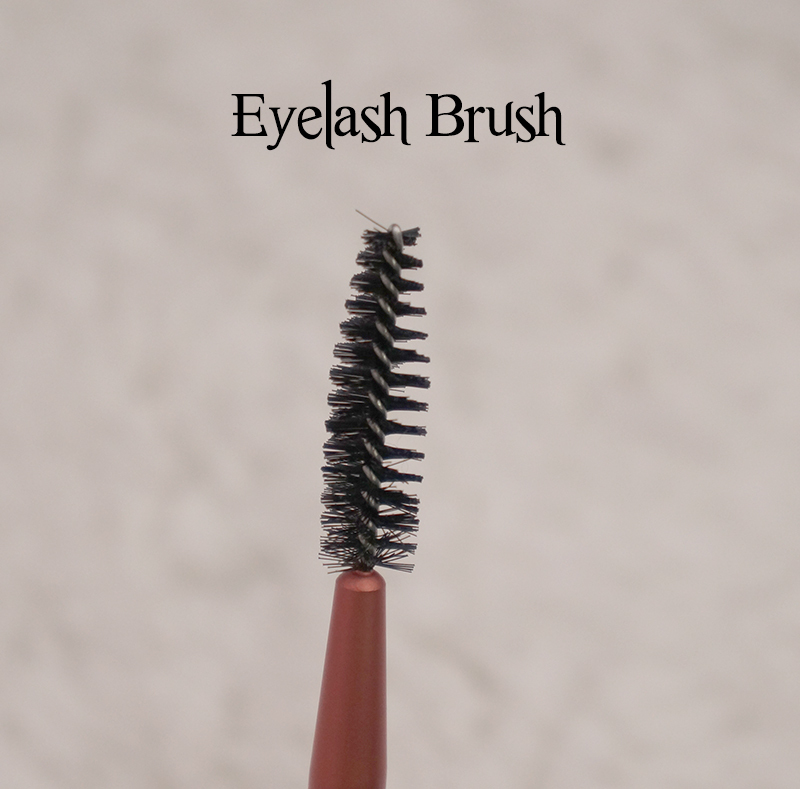 The rounded brush has fine bristles and it does not irritate the eyes during application. I like the soft bristles glided easily on the eyelid without feeling itchiness from the brush. 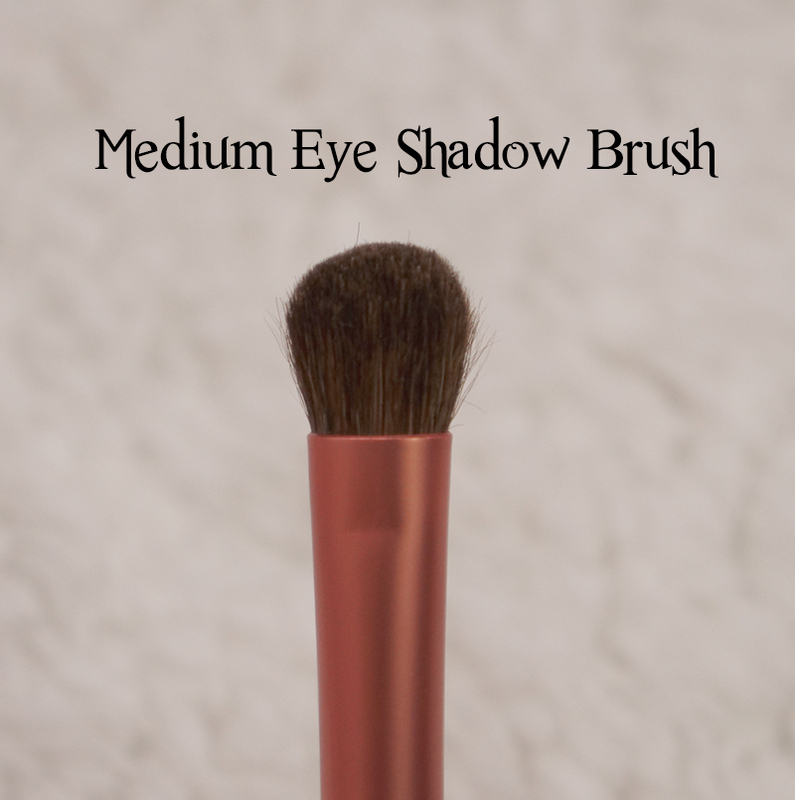 This mediem sized eye shadow brush can be used for shading the crease or blending the eye colors for a more define eye shape. 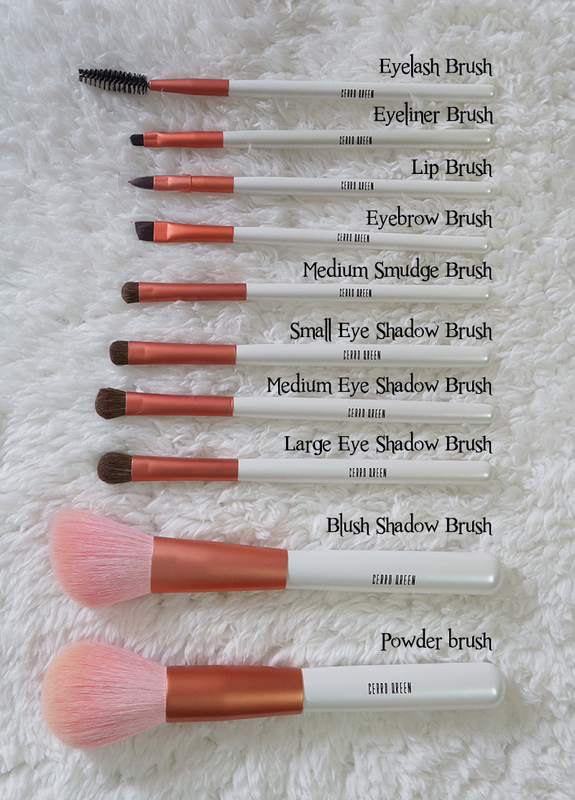 The bristles picks up the powder easily and can blend the eye shadows in just a few strokes. 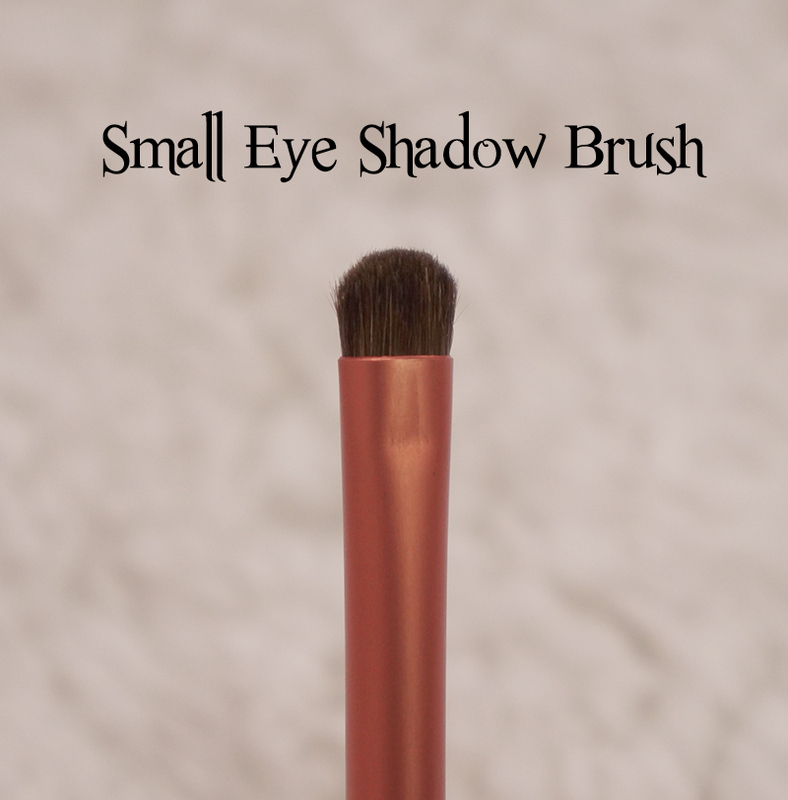 This small eye shadow brush can pick up the right amount of shadows and apply it at the exact placement every time. It can be used to highlight to the brow bone for defining the eye shape. 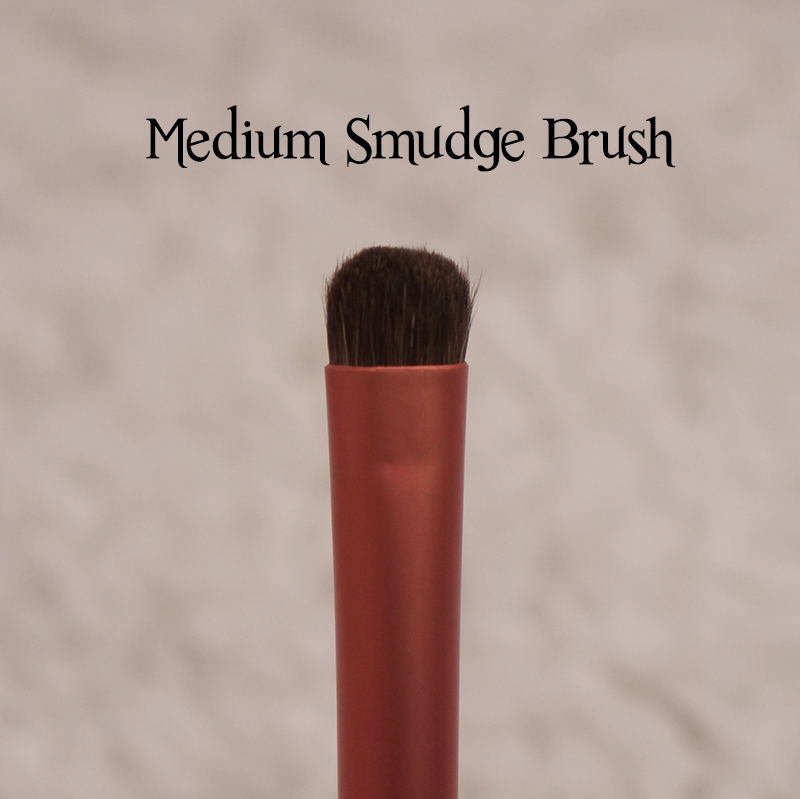 This brush is used to smudge out your eye shadow or pencil eyeliner. You can apply a light eye shadow and blend to dark shadows to create a smoky eye look. The bristles are soft and picks up the powder well too. This is an angled eyebrow brush. 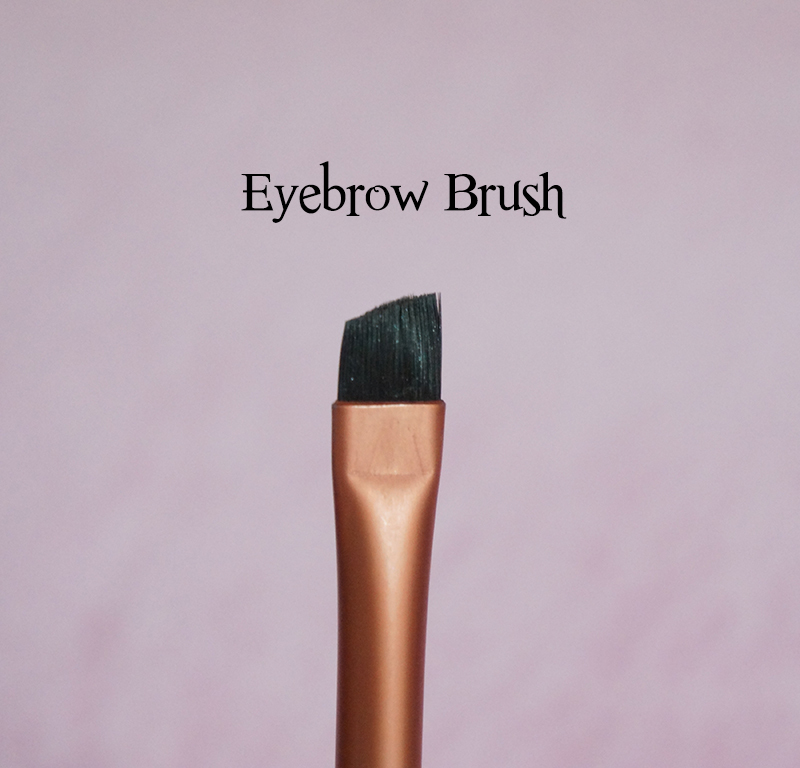 This is ideal for filling in the eyebrows or perfect blending of brow pencils for a natural look. The straight and soft fibre can be used to draw individual eyebrow hairs too. Sometimes, I use this to draw an angled eyeliner to achieve a cat-eyes look. 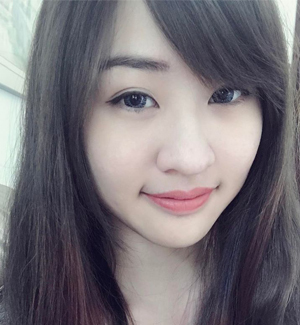 Dual application? I approve. I'm satisfy with this eyeliner brush. I'm that type of person who prefer to use brown eyeliner or eye shadow as an eyeliner. 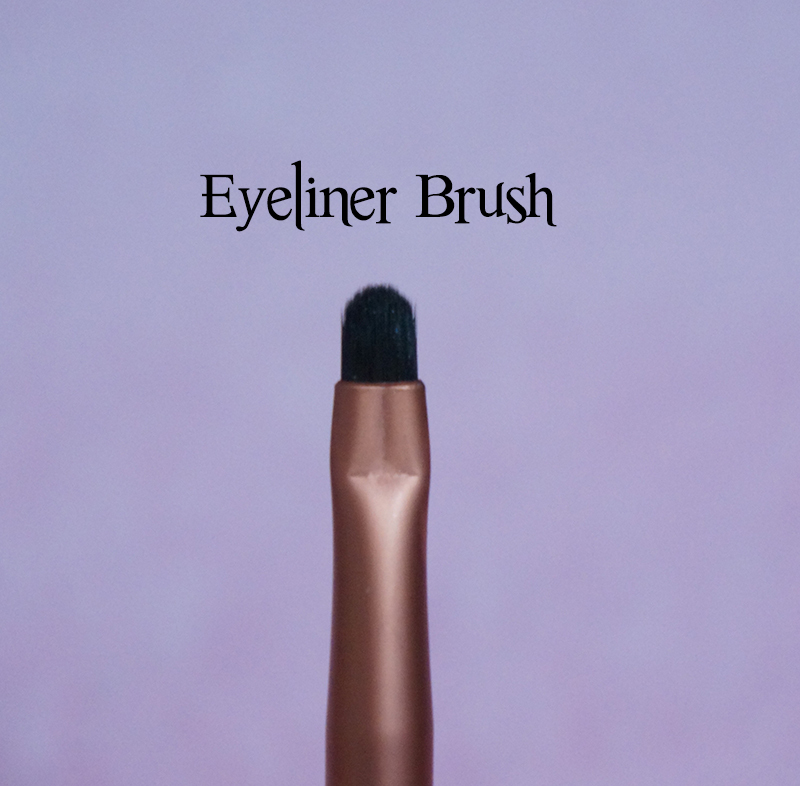 This eyeliner brush has sturdy yet smooth bristles for precise application. The soft bristles help to fill in the inner rims easily too. Well, I am pretty sure I do not need a separate eyelash brush for my eyelash, and would prefer to get a eyelash comb instead of a brush... Anyway, I am using this as a eyebrow brush for a more define look on the brows. Though the bristles are not as soft as the other eyebrow brush, it is still nice to use it to define the brows. Lip brush can give a more flawless and even look on your lip make-up. 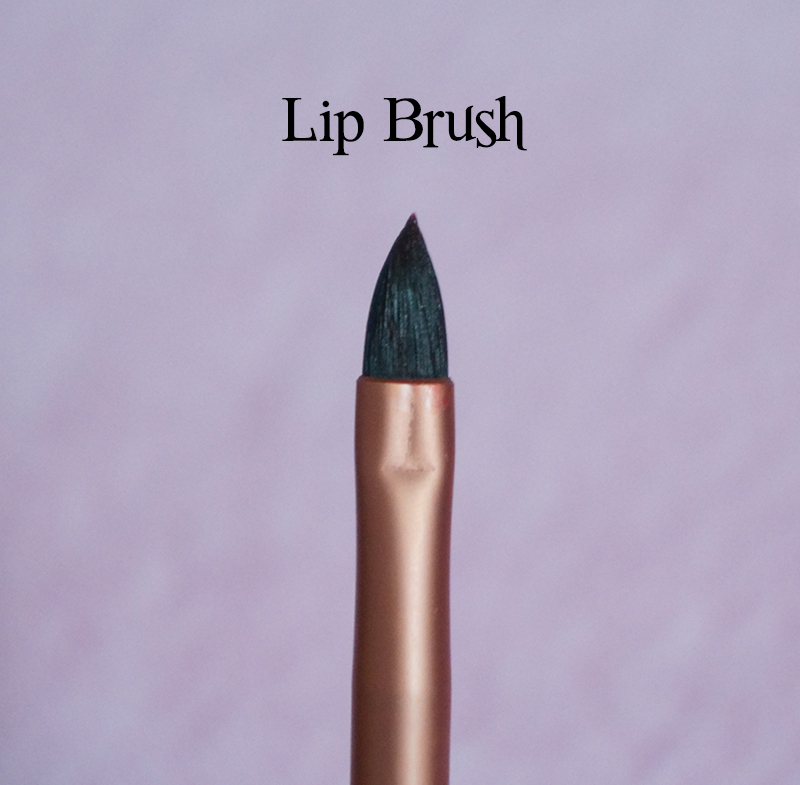 This lip brush has soft and delicate tip that allows precise drawing on the lips. It helps to blend the colors and can easily achieve a pair of gradient lips. I would give 7 stars out of 10 stars. The bristles of the brushes are decent enough and I'm liking the set because it has almost all the needed brushes for a basic make-up routine. I like the color combination on the brushes and they look pretty elegant too. If you are a make-up beginner that do not want to invest on expensive brushes, you can get this set instead. The only downside of it was some bristles fell out from the eye shadow brushes. Thanks to Natta Cosme, you can now enjoy RM 6 discount when your purchase is above RM 100. Use the code: 105MD15 when you're checking out for the discount before 15 May 2015. Disclaimer: Products were sent to me for review purpose.